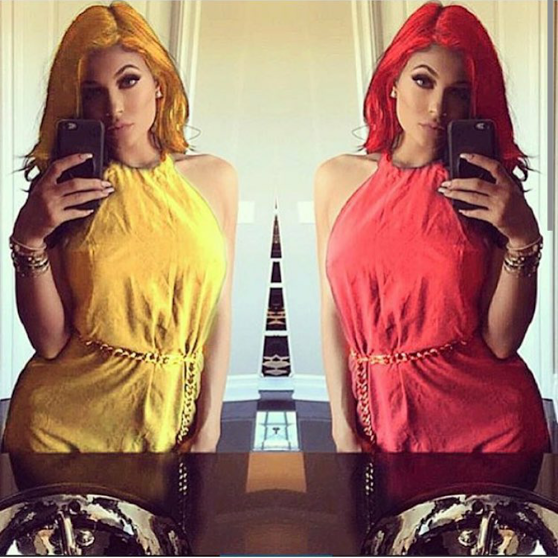 kylie jenner at it again; denies wedding tyga, see why! Kylie Jenner stepped out on Friday with no sign of the wedding band on her 4th finger as she attempted to put speculation to rest she had gotten married to current beau, rapper Tyga. The pretty teen was careful to show her bare hands as she headed for lunch at Sugarfish in Calabasas, California, in a thigh skimming outfit. She also shared a photo of herself in one of her Kylie wigs.